From network security to user-access restrictions, you’ll be fully equipped to keep valuable data safe and sound. In addition to IPSec, SNMPv3 and 802.1x network security, the Lexmark C736dtn offers an alphanumeric pad for easy PIN authentication, plus encryption and disk wiping to secure the optional hard disk. High-quality colour adds impact to every impression you make. Keeps colour costs in check with easy to use cost-control tools and smart technology that senses when you’re printing black-only pages to conserve colour toner. 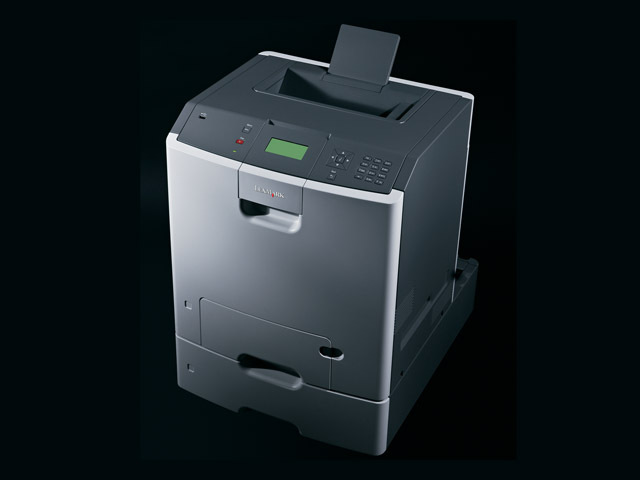 Demanding workgroups will benefit from high-quality colour, duplex printing, 900 MHz processing, and up to a blazing 33 ppm in black and colour, plus the extra input capacity to go the distance and then some. Nice conveniences include a tiltable operator panel with 4-line graphics display and a front USB port to print directly from your thumb drive. Maximise uptime with intelligent feature like front-loading supplies and programmable supplies alerts. Plus, no more letting missing media derail hours of print time. The innovative Job Waiting feature will simply hold that job aside until the proper media is loaded, letting others go on working without interruption (requires the hard disk option). Standard paper input capacity for up to 1,200 sheets can grow to 4,300 sheets simply by adding up to four stackable drawer options—a time-saving solution for high-volume jobs or to accommodate a wide range of paper types, such as card stock or labels. 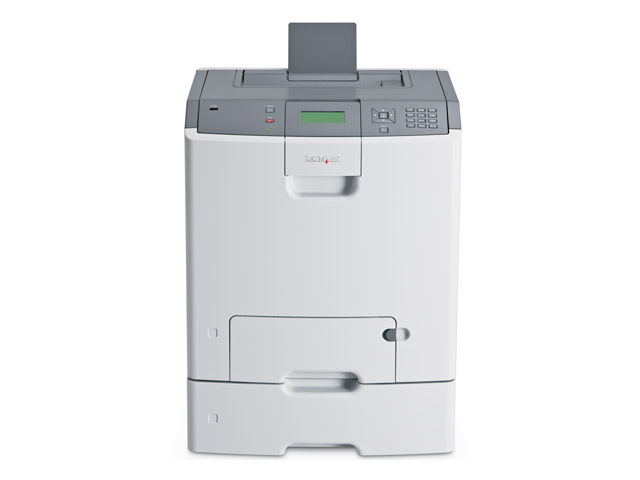 With Lexmark's instant warm-up fuser, expect results in just seconds even from a cold start.